Dr Raewyne Bary explored the barriers to under-threes forming close attachments to a teacher in child care centres. 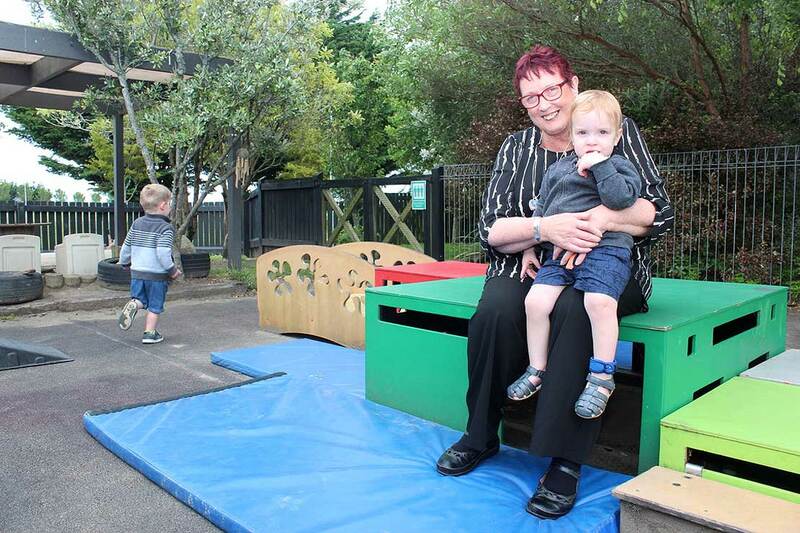 As the head teacher at Massey’s Child Care Centre on the Manawatū campus, Raewyne Bary has plenty of experience in the needs of the very young. Her doctoral thesis explores the barriers to forming close attachments between toddlers and teachers. Dr Bary graduated on Friday with a Doctor of Education thesis titled: Personal, interpersonal and organisational factors that enable or constrain the development of attachment-type relationships between infants, toddlers and their teachers in Aotearoa New Zealand early childhood settings. In it, she examines teacher education and understandings of attachment theory, as well as how rigid adherence to rosters and staff rotations can become a barrier to teachers forging the kind of bond necessary for a youngster’s optimal development. Her mixed-method design study, which comprised three case studies of early childhood centres and a national survey of over 200 centres throughout New Zealand, identified the “structural and process quality factors that predict high quality relationship development opportunities between teachers, infants and toddlers”. “It is in the structures such as rosters, or duty lists, and staff rotations where relationship opportunities get missed or unfulfilled,” she says. Dr Bary says there can be misunderstandings in the early education field about the role of attachment. Healthy attachment does not overshadow or threaten the child’s primary caregivers at home but increases their experience of having a secure base. “From this, they develop a good sense of self and become confident, active explorers,” she says. Healthy attachment during the first three years of life has a major impact, determining resilience and emotional self-regulation – particularly in teenage years – as well as being a predictor of wellbeing and even income levels later in life, she says. With an increase in the numbers of New Zealand children being placed in day care, and often for longer periods, it is critical that centre management develops a deeper understanding of how the organisation’s culture impacts the child-teacher relationship, she adds. Dr Raewyne Bary with Maddox at the Massey Child Care centre where she works. Dr Bary has been involved in early childhood education for the past 35 years. During this time, she completed the Supervisor’s Certificate and Federation Certificate for Playcentre, a Bachelor of Education and a Master of Education at Massey. She is currently the curriculum leader of two infant and toddler rooms at Massey Child Care Centre and supports a teaching team of 14. Her interest in the issue of attachment arose while she was involved in the Ministry of Education’s Centre of Innovation Programme as a practitioner researcher from 2005 to 2007, investigating identified areas of innovation to improve and showcase examples of good practice. During seminars and workshops at childcare centres throughout the country, she encountered resistance to the idea of a key teacher. “Participants often voiced how such systems [with a key teacher] would be inappropriate, with concerns of children becoming too attached to teachers or the organisational manageability of maintaining teacher duties and rosters if this type of programme were implemented. “It was during visits to centres that I observed what I called ‘lost children’,” she writes. “These were toddlers who appeared to drift on the periphery of the room, toddlers who were consistently missed or overlooked, made invisible by practices that failed to provide opportunities for prolonged intentional engagement between them and their teachers. A number of teachers expressed feeling constrained or frustrated by the policies and practices of their workplace, resulting in following programmes that amounted to “basic babysitting”. 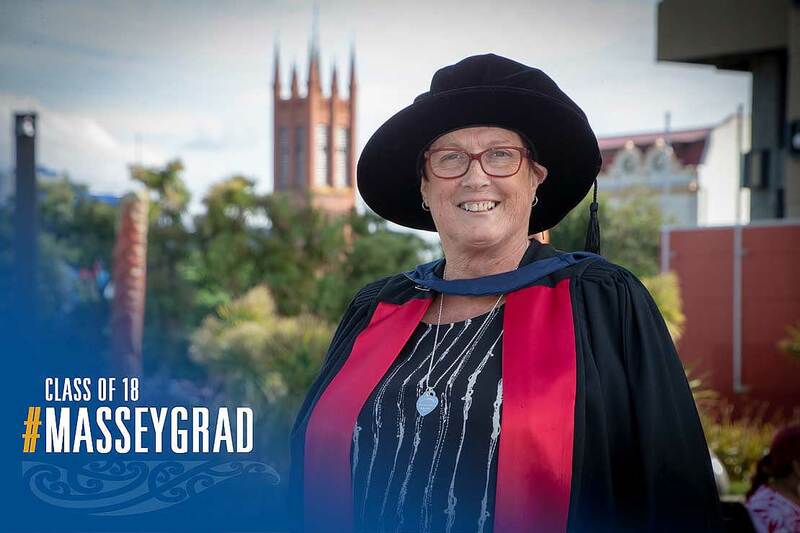 Her supervisors were Associate Professor Alison Arrow, at Massey’s Institute of Education, and Professor Claire McLachlan (formerly at Massey and now at Waikato University).